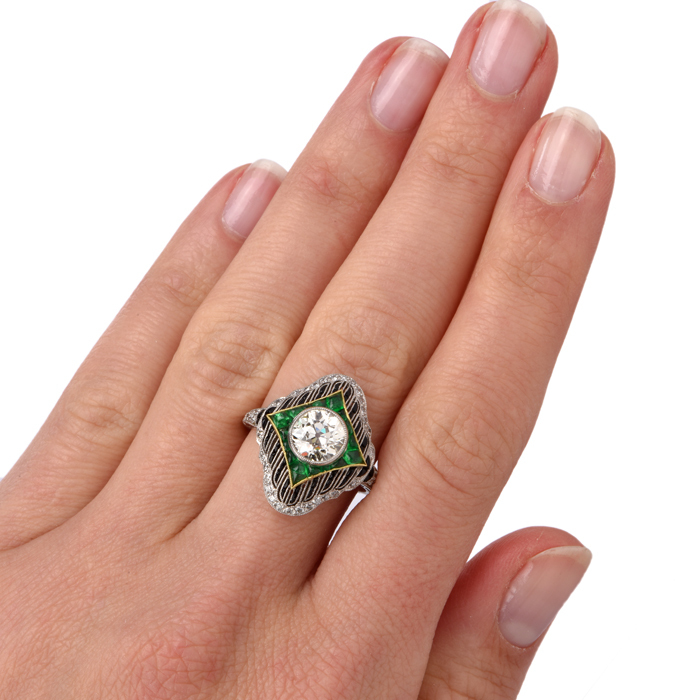 Vintage engagement rings represent jewelry pieces from bygone eras. 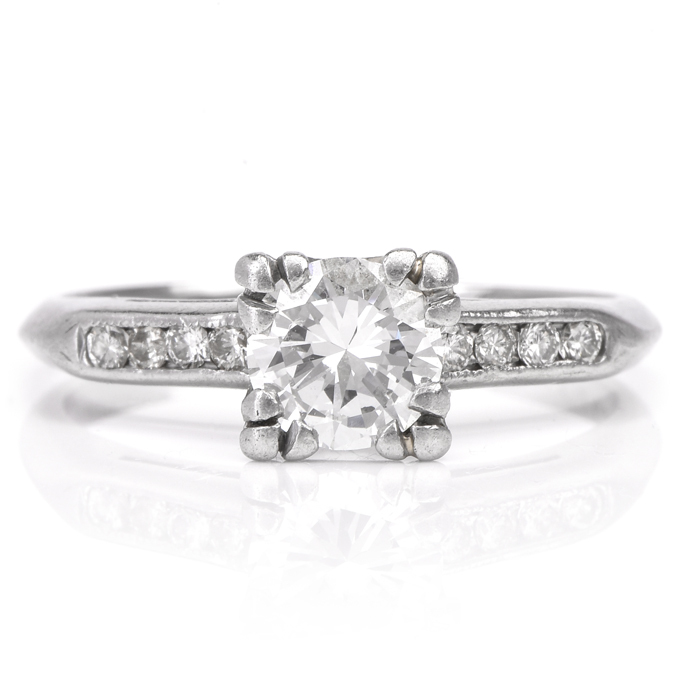 If you dream about owning an engagement ring with an historic appeal, trust Dover Jewelry & Diamonds for genuine vintage engagement rings with exquisite character. As you browse through our ever-evolving gallery of rings and other jewelry pieces, you will see that our vintage engagement rings are suitable for individuals of all styles and personalities. It’s exciting and rewarding to purchase an engagement ring from the past. No one you know will have a ring exactly like it! 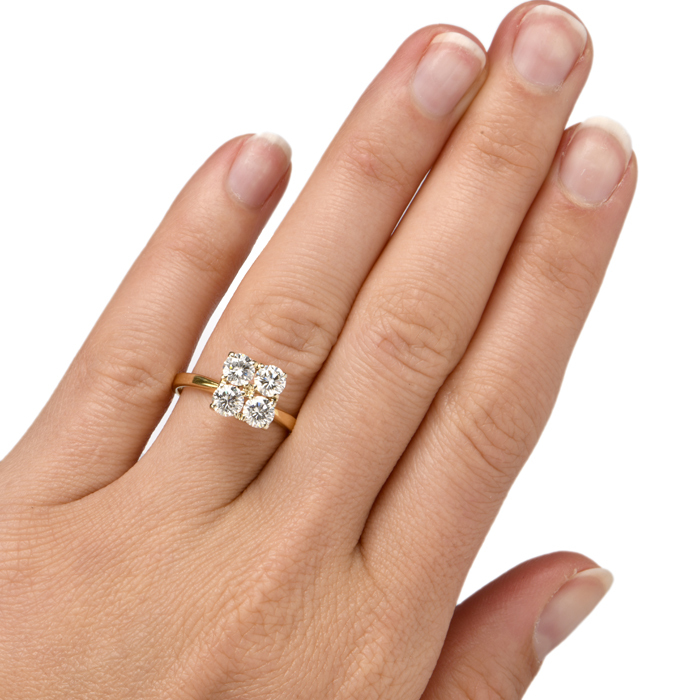 Order your favorite vintage engagement ring from our collection today. We offer both layaway and free international shipping options for your convenience. 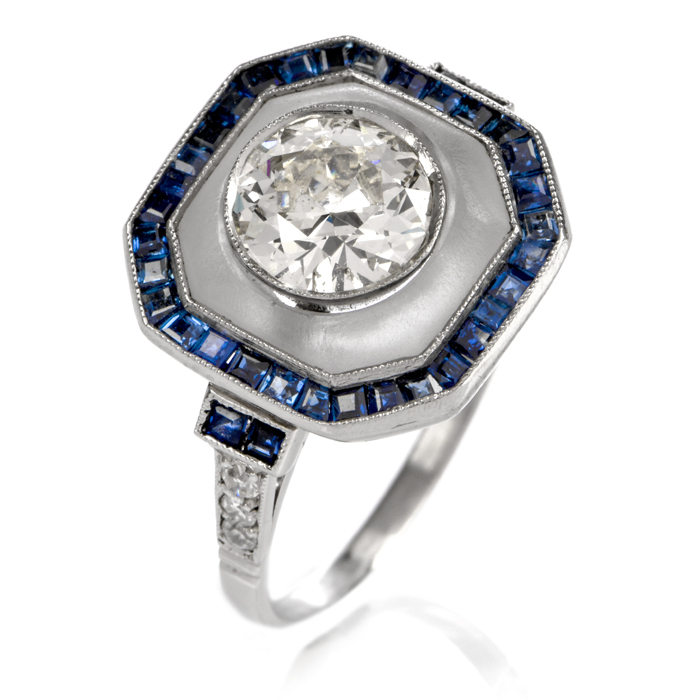 Have a question about one of the luxurious, one-of-a-kind rings we offer? Call our experts at (877) 777-6111 for a private consultation. 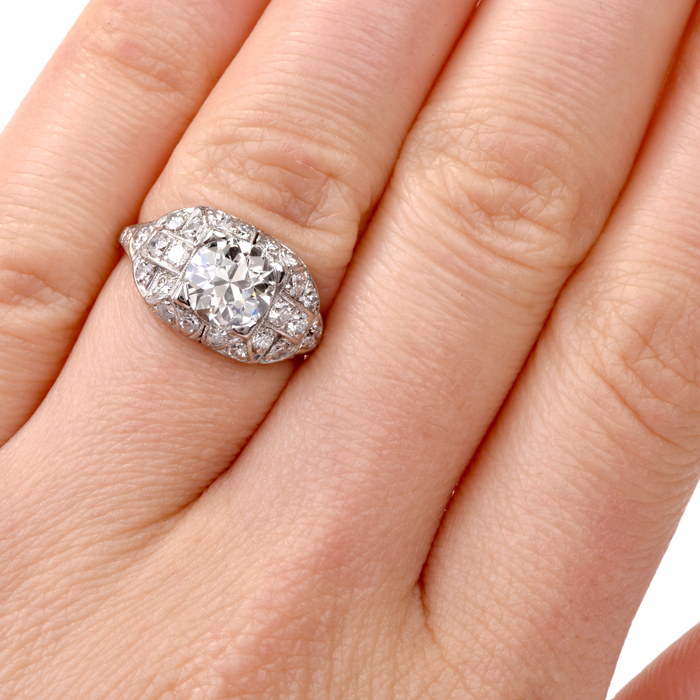 Many buyers have questions about the differences between the terms “vintage” and “antique.” In general, it’s important to remember that some vintage engagement rings are genuine antiques, but not always. 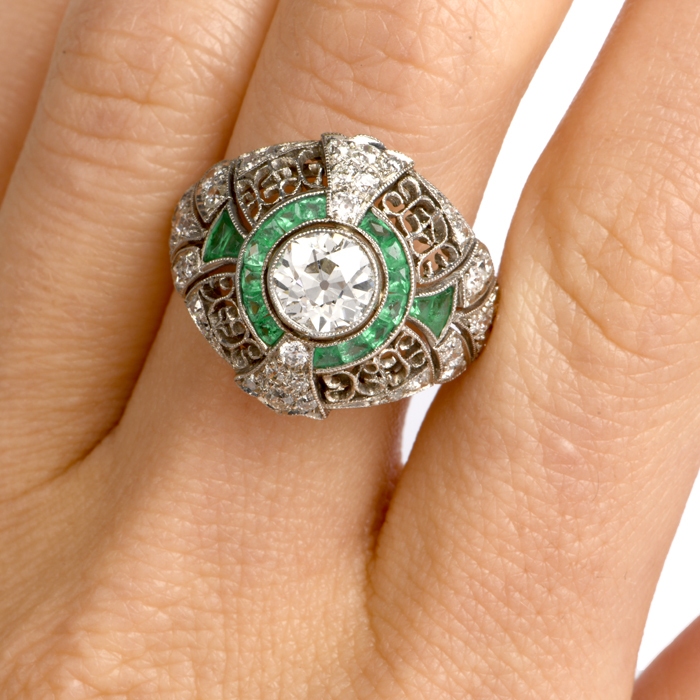 And every vintage or antique jewelry item is pre-owned. 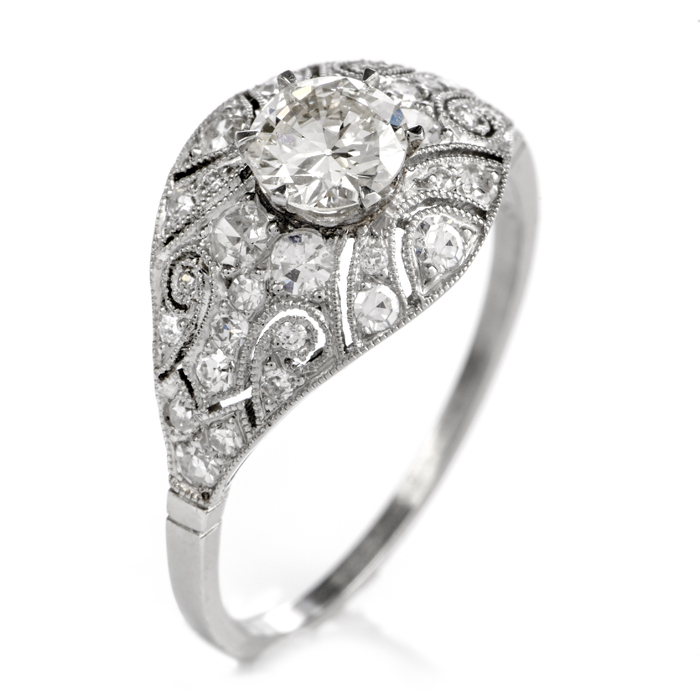 “Vintage” is a word used to describe a piece of jewelry that was designed during a previous era. The previous era could be the 1960s, the 1970s, the 1800s or before. This is a wide historical range! 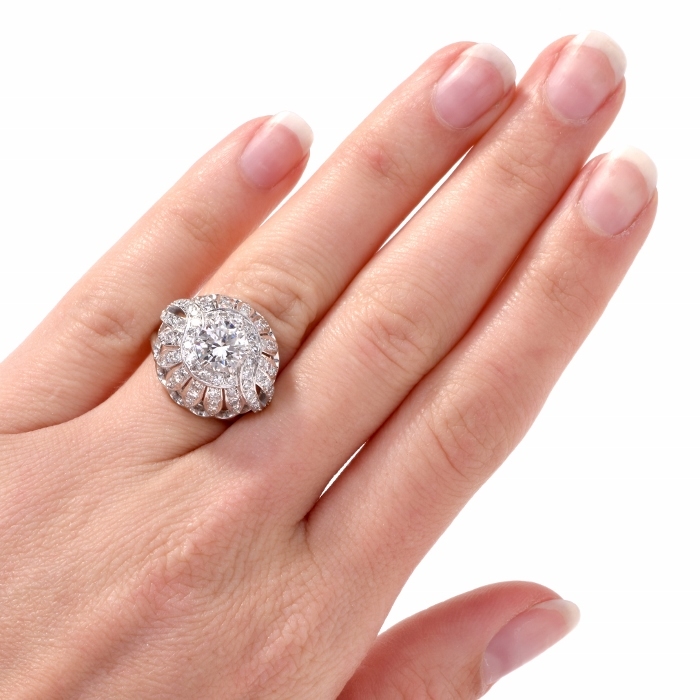 In essence, a vintage diamond or other engagement ring is deemed “vintage” not just by our team of expert and certified gemologists, but by the jewelry community. 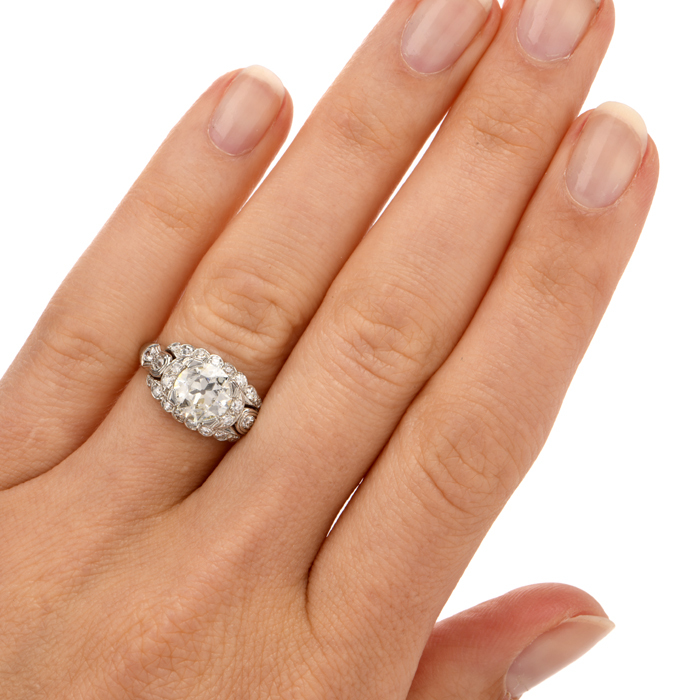 “Antique” engagement rings must be at least 100 years old to receive this moniker. Therefore, some vintage pieces that are from the early 1900s are indeed antiques. But a vintage engagement ring from 1950 would not be considered antique. 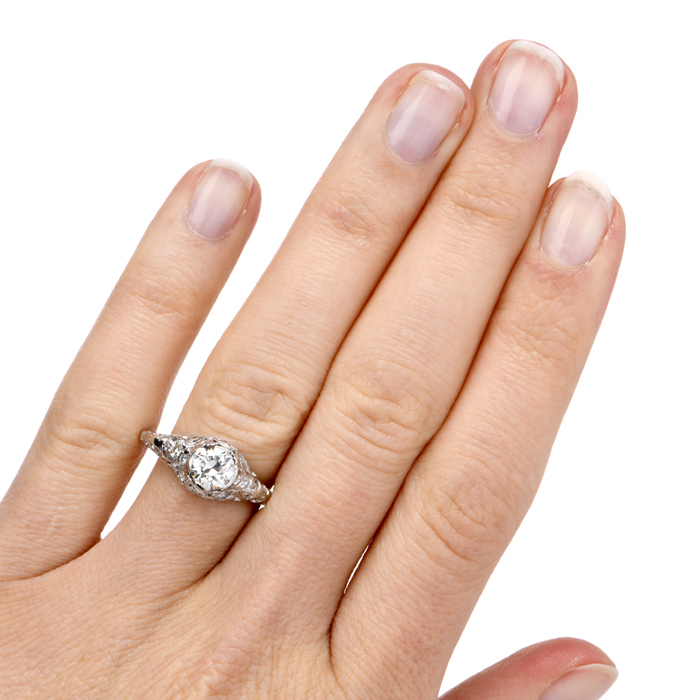 Neither “vintage” nor “antique” engagement rings are inherently better. The final decision comes down to the buyer’s personal taste and desires. 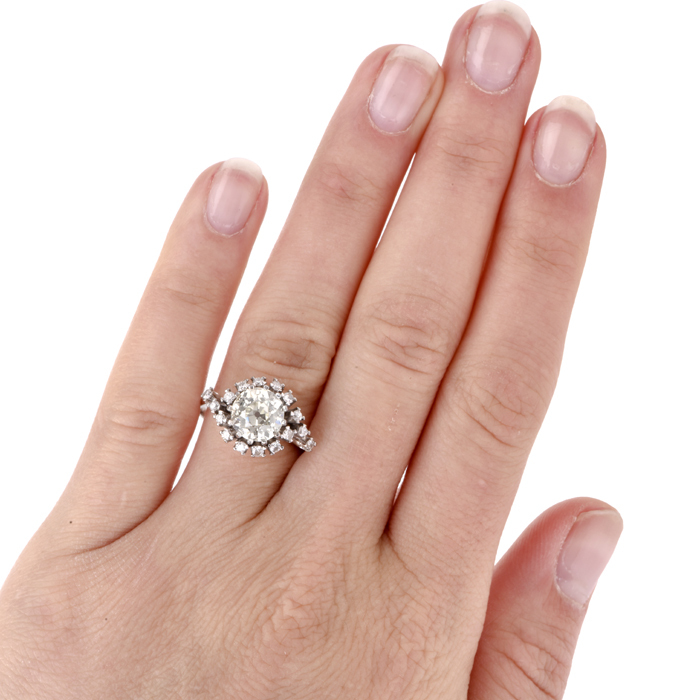 Why are so many individuals with discerning jewelry preferences moving toward the purchase of vintage engagement rings? 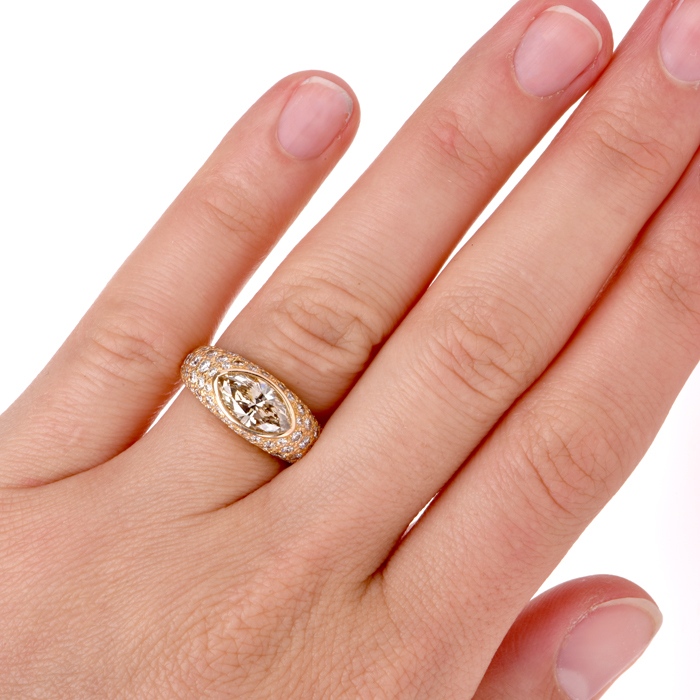 In most cases, it’s because vintage rings offer choices, luxury and sophistication unavailable from modern jewelry. 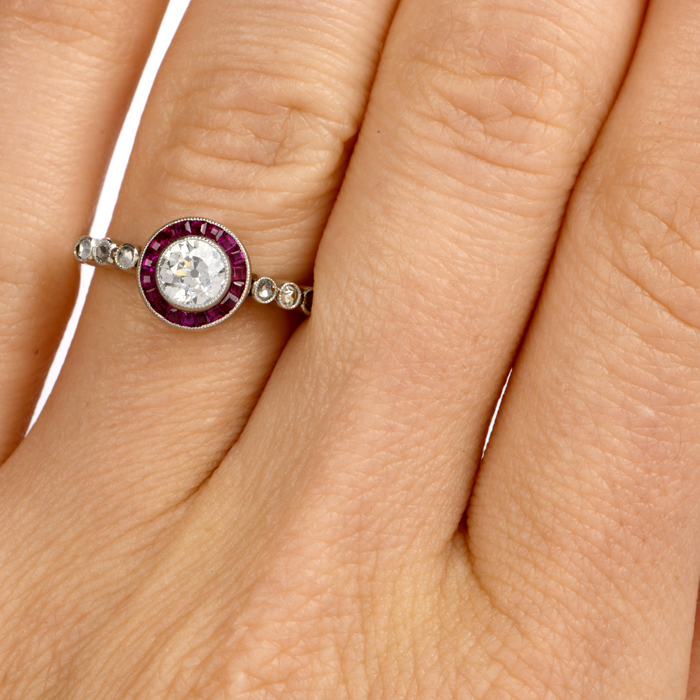 As you explore our ever-evolving gallery of vintage engagement rings, you’ll see a range of settings, features, designs and gemstones. For example, if you’re trying to find a diamond engagement ring that has a decidedly historic, whimsical appeal, you can discover the perfect appearance and fit with Dover Jewelry & Diamonds. On the other hand, if you desire brilliant, colored gemstones set in a whimsically crafted precious metal band, why not consider an engagement ring featuring white gold, yellow gold or platinum, and set with deeply hued gemstones from one of the globally renowned jewelry houses like Tiffany and Co.? It’s a rare treat to give renewed life to exquisitely-designed antique engagement rings that have withstood the test of time. Every antique engagement ring we sell has been carefully inspected and, when needed, repaired and restored to its natural splendor. 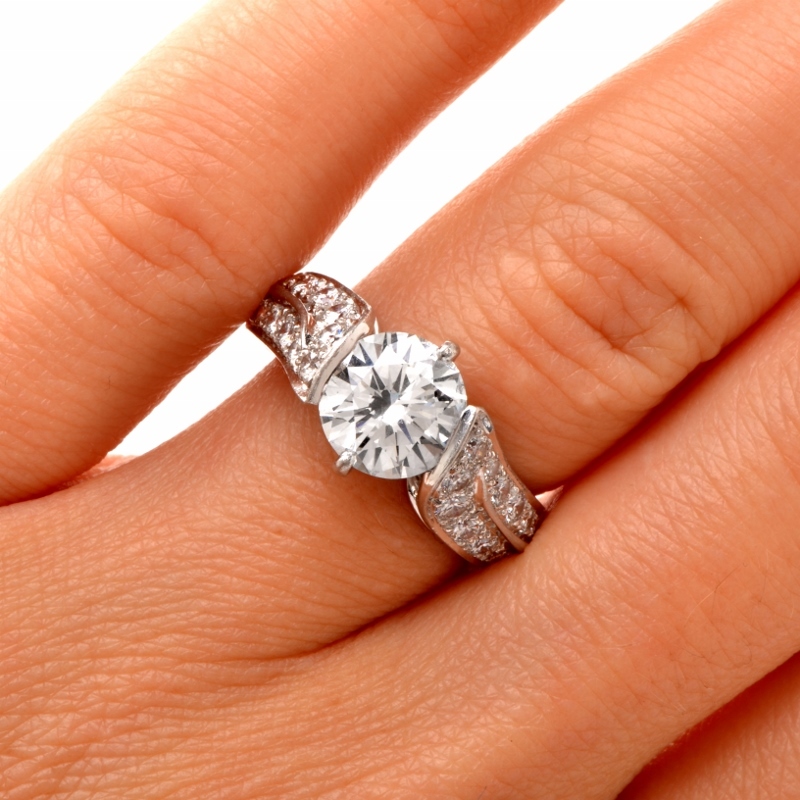 In the case of diamond antique engagement rings, we offer clientele certificates of authenticity. Find the luxurious, unique engagement ring of your dreams. 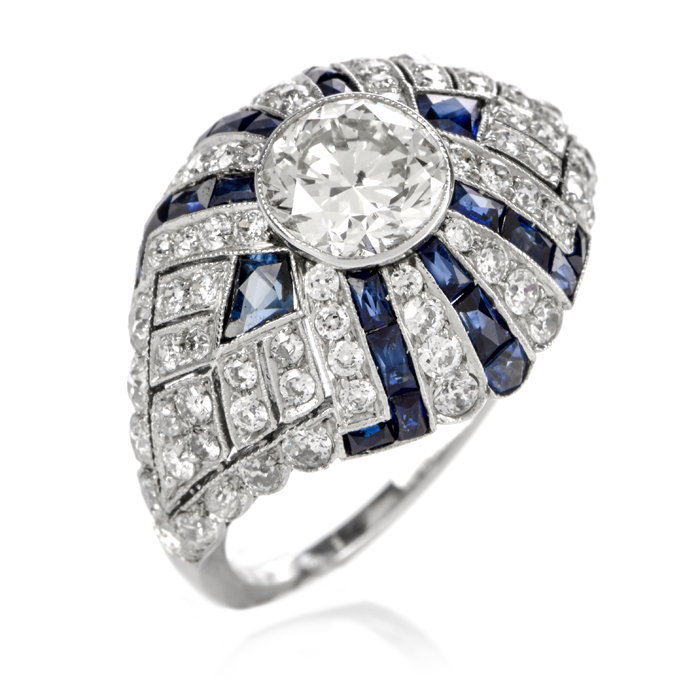 With Art Deco rings, rings dotted with sapphires, Victorian era rings and much more, our gallery has amazing selections just waiting to be worn with pride.